My Baggage is an affordable, budget-friendly way to transport your excess baggage to wherever it needs to go, without having to break the bank. We’ll collect and deliver your excess baggage at a price you can afford – and that’s one last thing you’ll have to worry about when planning a holiday, a journey abroad or a business trip. If you’re travelling by plane, you can expect to pay a pretty hefty price for any excess baggage, and we know you want to avoid that at all costs. With your airline, you can expect to pay up to £40 for each extra bag and if you go over the weight allowance of 15-20kg, you can expect to pay £10-£20 per kilo. Thankfully, sending your extra luggage with My Baggage can be as much as half the price of airline baggage charges. Not only that, but you get up to double the weight allowance (up to 30kg per item) so it’s fantastic value for money. Once you get a quote on our website, it’s a fixed fee. There are no hidden charges – what you see is exactly what you get. We want to make the entire process of sending your luggage as stress-free as possible, which is why our service is extremely convenient. Our online booking system couldn’t be easier – all you have to book is book and pay for your shipment online and we’ll take care of the rest. We offer hassle-free door-to-door luggage collection and deliveries, within the UK and to over 200 countries worldwide. Once you’ve booked, we’ll be sure to keep you fully updated about the whereabouts of your shipment whilst it’s in transit with our online tracking system. We’ll also provide SMS and email notifications. And what’s more – you’ll have the peace of mind in knowing that we have a dedicated customer service team on hand to answer any queries you might have via phone, live chat and email. 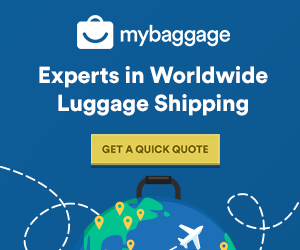 We understand that you might feel hesitant to hand your personal belongings over to a shipping company – thankfully, we’re experts at this and have been shipping luggage across the world for years. 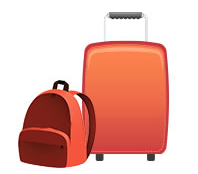 At My Baggage, we understand that you want to save money on your excess baggage. Which is exactly why we offer fantastic low prices for shipping within the UK and to over 200 countries worldwide. My Baggage also overs a price match service. So if you happen to find a cheaper quote elsewhere, we’ll do our best to beat it.